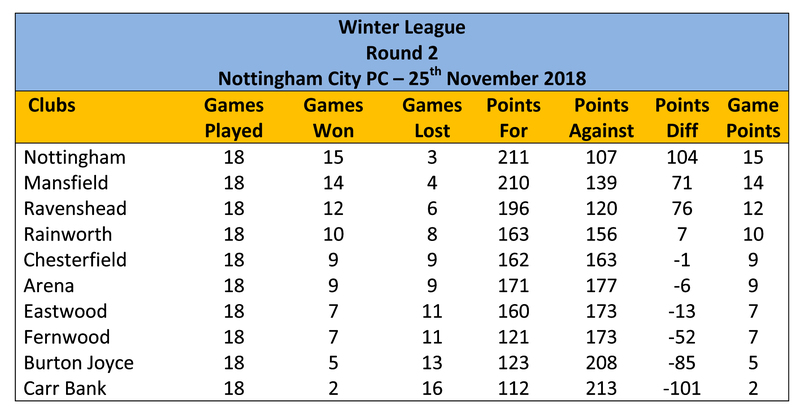 Following the third and final round of the 2017-18 Winter League, the champions this year are Nottingham City PC with Chesterfield PC in 2nd place. Congratulations to them both. Thank you to all participating clubs for making these league matches so enjoyable and special thanks to those clubs that hosted the three rounds played. 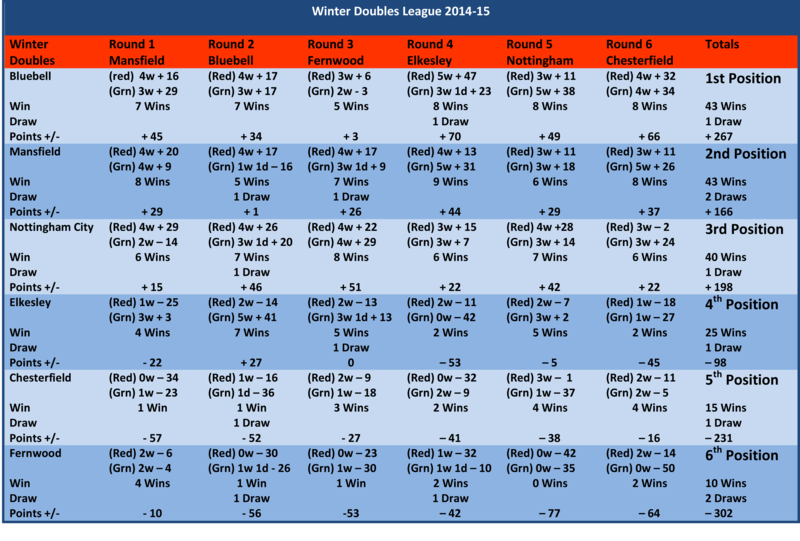 The results table below shows each club’s position following round 2 of the Winter League. 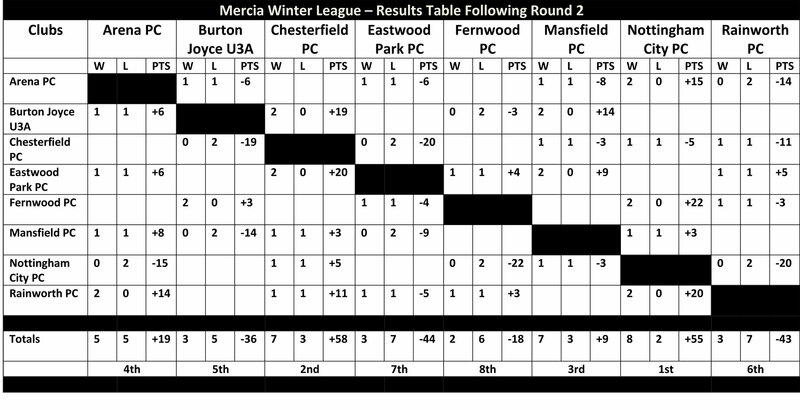 The final results table for the 2016 Mercia Winter League has been posted on the Mercia Winter League page. Congratulations to Arena PC who are Mercia champions for 2016. 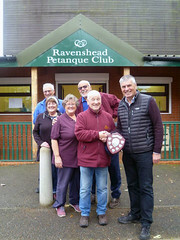 The trophy will be presented at the 3rd Inter-Regional Qualifier on Sunday, 12th June. 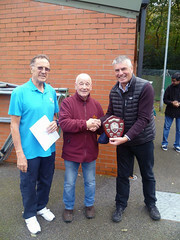 Many thanks to the clubs who hosted this year’s series and to all their club members and helpers who made us most welcome. Following the final match of the winter league, the results have been verified and the final positions decided. 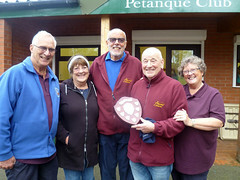 Congratulations to Bluebell PC who narrowly beat both Nottingham City PC and Mansfield PC to lift the trophy. The Mercia hosting clubs who have given us a warm welcome at every competition day, the food has been delicious and the sense of community has made every competition day feel special. A special thank you to all the wonderful helpers who have worked tirelessly to ensure that the competition days have been a success.